Gates of Vienna: Give Us Bouyeri! 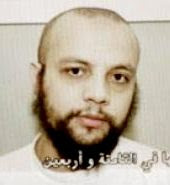 An Al Qaeda website is in effect calling for the taking of Dutch hostages so that they can be exchanged for Mohammed Bouyeri, the Islamic terrorist who ritually slaughtered Theo van Gogh in 2004 and is serving a life sentence for it. Mohammed Bouyeri, the murderer of Theo van Gogh, must be exchanged with western hostages. Jihadists have made that call to al-Qaeda in North Africa. This is stated in the document “Terrorist Threat Assessment Netherlands”, which was presented yesterday to Dutch Parliament by the National Coordinator for Counterterrorism (NCTb) Erik Akerboom. “In North Africa outside Algeria, Al-Qaeda in the Islamic Maghreb (AQIM) tries to strengthen its position and influence in the entire region,” the NCTb writes. “AQIM is particularly active outside Algeria in Mauritania, Mali, and Niger. Kidnappings of Westerners seems, besides committing attacks, to be increasingly the default modus operandi of AQIM. It is striking in this context that a call on a jihadist website to AQIM for an exchange of hostages for Mohammed Bouyeri, the murderer of Theo van Gogh who is detained in the Vught prison in the Netherlands. The call does not directly result in a heightened threat of kidnappings of Dutch in particular, but the release could be used as a demand once Dutch citizens have been kidnapped. “International [Islamic] terrorist groups still consider the Netherlands a hostile country and thus a legitimate and attractive target”, especially due to the expressions by PVV-leader Geert Wilders and the now ended Dutch military mission in Uruzgan, according to the latest threat assessment. According to the analysis, there has in recent months not been any concrete evidence of planned attacks against the Netherlands. The domestic jihadist networks seem to pose little threat. Therefore, the threat level for the Netherlands remains ‘limited’. However, in recent months some Dutch Muslims have come into the focus of the intelligence services due to their desire to participate in armed struggle abroad. According the NCTb this involves a very limited number of people. Two new Dutch radical jihadist websites seem mostly focused on foreign battlefields. According to the NCTb there are few incidents involving violent radicalization in the Netherlands. “But a breeding ground remains, particularly within the Somali community. That development is worrying, also because of the attraction the jihad in Somalia has on a limited number of youngsters in western countries, including the Netherlands.” In recent months a number of such jihadists have been declared undesirable aliens. This is yet another virtue of the death sentence. There is significantly reduced incentive to ransom a corpse. Of course, trust Islam to make even such a seemingly clearcut case problematic. With their fixation upon death, even the bodies of "martyrs" have market value. Elaborate funerals with their full retinue of professional moirologists are used as propaganda events to fan up even more hatred while recruiting new ranks of terrorists. This is why I advocate disposing of executed terrorists or dead "insurgents" by burial at sea or cremation. People tend to feel a bit silly wailing and keening over an empty coffin. Furthermore, Islamic superstition holds that those who do not receive proper burial are denied entry into paradise. Ensuring that familes of terrorists do not have any remains to grieve over might motivate them to discourage such activity. If anything, there is less of a chance that any such burial site will become a shrine or pilgrimage destination for aspiring terrorists. Finally, not returning the remains of Islamic terrorists who have fallen in conflict or been executed for their crimes is a useful way of assuring that the Muslim community undergoes some sort of penalty for being the source of so much mayhem and death. I love how the Dutch will not print the last name of convicted murderers in their press. Or testes-less, in normal terms. Van Gogh's murderer., Mohammad Bouyeri, should have been sent to Hell at the end of a pigskin noose to prevent his becoming at the least a recruiting tool or at worst hostage-taking incentive device. Kill Terrorists! should be a T-shirt in every EU tongue. They have learned the exact wrong lesson from WW II. Be armed to maintain peace. "I am all in favor of an end to the death penalty, and I ask that our friends the murderers go first." Will it take a city being vaporized before they reinstate the obvious answer to the active inhumanity of terrorism? Bouyeri should have been summarily executed, cremated along with a few strips of bacon for good measure, then flushed into the municipal sanitary sewers. No chance of anybody trying to ransom the corpse that way. People who don't respect our lives, deserve no respect in return. Have to agree with all-of-the-above, plus: painless castration; death by euthanasia and then cremate the body! Why? Because then they will not go to paradise. Allah dislikes castrated men and refuses to allow them into his paradise. Enough incentive not to be a martyr?